Chasing JFK – When I was travelling a lot, I would actually be in great locations about one in ten trips. Most of the trips were to small cities and towns, and getting there required a couple of planes and a long car ride. One of those was a three-day stay in Heber Springs AR, a small lakeside town that comes alive during the summer. However, my three-hour car ride brought me into the town’s very vacant Holiday Inn on a Sunday night in February. On the second day, I decided to take a drive around to see what’s what… something I did in most towns I visited. I discovered the Greer’s Ferry Dam and the lake it made, surrounded that day by beautiful but empty vacation homes. 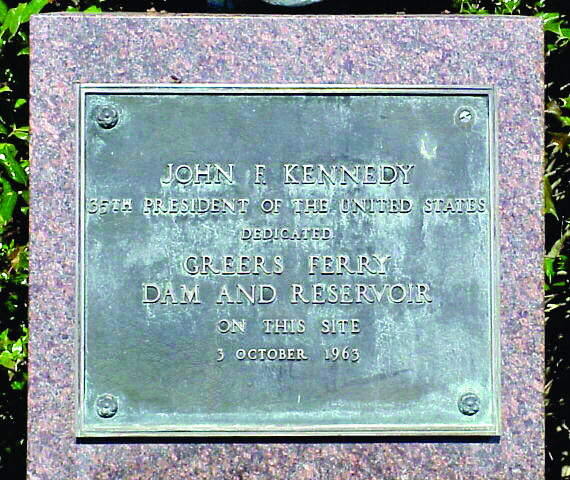 I learned that the dam was completed in 1962, and a plaque told me that it was dedicated in October of 1963 by President John F. Kennedy… his last major public appearance before Dallas, on November 22, 1963. A few months later I travelled to Dallas, and went to Dealey Plaza. I was on the sidewalk, looking at the “X” in the street noting the spot where the President was fatally shot. I stood by the fence on the grassy knoll, and saw the viewpoint of the rumored second shooter. I looked in all directions from the spot where Abraham Zapruder shot his famous film footage. And I peered out the window of the Texas School Book Depository, with the same view that Oswald had that day. Being Irish and Catholic, the President was a big deal in our family. My earliest childhood memory was the funeral on TV, and the somber mood of our home. I remember telling my Mom about both of these trips… about closing that loop, if you will. Hotel Secrets – Years ago, I figured out that one of the best ways to get a good hotel room deal is to book through a convention. When I travel to a big city, I go to the convention center website and book a room through whatever organization is in town during my stay. I got some really great deals on hotels in Las Vegas, New Orleans and Orlando over the years, even during peak tourist seasons. Show organizers never check room reservations against those registered for a convention, so I’ve piggy-backed into some great deals using events like martial arts championships, car dealer conventions, rodeos, etc. My crowning achievements were booking rooms during a gynecologist conference in Las Vegas (registered as “Doctor” Langan), and the North Atlantic Regional Conference of the Alpha Kappa Alpha Sorority – the nation’s first Greek-letter sorority for women of color. It was a great two days at the Borgata in Atlantic City, hanging with my “sisters”! The Nighttime, Sniffling, Sneezing… Blah Blah Blah – During the first year I was travelling, the longest I had been on a plane was four hours. 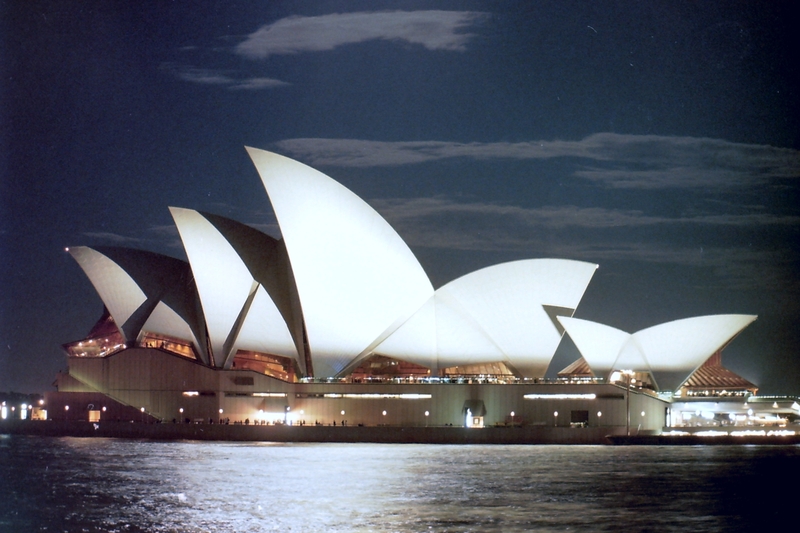 So you can imagine my trepidation about an upcoming trip from Los Angeles to Australia – a whopping seventeen hours! I had never used medicinal sleep aids, but I asked my doctor for help. He suggested, with a wry smile, that I have a cocktail when I get to the airport. Then when I’m on the plane, have another. And when I’m ready to go to sleep, take a normal dose of NyQuil. So I did the cocktail portion… obviously easy. An hour into the flight, the cabin lights dim for the in-flight movie – the same crap film that I watched on my way to L.A. the day before! Time for the NyQuil to work its magic, so I down my shot and close my eyes. When I woke up and saw the movie credits scrolling, I was so pissed that I thought I was going to explode. It took a few minutes to get my bearings, and discover from a fellow passenger that I was seeing the credits for the FOURTH movie – and one of them was “Titanic”! My sore back and stiff neck confirmed that I had been sleeping for almost ten hours, and that sweet, cherry elixir was the reason why! Although I was still annoyed that I had missed Leo and Kate, I learned a valuable lesson that day – I always have some NyQuil ready for those long flights. You should too… I have P&G stock! Travelogue – I’ve done a lot of business travel over the years, mostly between 1995 and 2001. I was on the road about forty weeks per year during that period and it was a tough grind. But I look back now at those trips and I’m very grateful to have been afforded the opportunity and trust from the company I worked for… not to mention the loads of frequent flyer miles and hotel points! Thus far (with personal and business travel), I’ve spent at least one night in 46 of our 50 states and visited nine other countries. I did go to a bunch of very small towns, and some gave me some neat experiences… seeing Boot Hill in Dodge City, touring the Louisville Slugger plant and the Jack Daniels distillery in Lynchburg, TN. I’ve been to sporting venues and events all over the country, including two U.S. Opens, a few times at the Masters and a surfing championship at Hawaii’s Bonzai Pipeline. And I’ve had some completely astounding, moving moments… sitting on the steps of the Sydney Opera House, gazing at Monet’s Water Lilies at Musée de l’Orangerie in Paris, and solemnly standing above the USS Arizona at Pearl Harbor… a place I wanted to see since I was a boy. At each of these places, I have asked myself… “How did I get here?” I don’t take for granted that I have been very fortunate… to see so much of our beautiful country, in this wonderful world. But there is more to see, and other stories to tell.